10 Project based subsidized units through the Kitsap County Consolidated Housing Authority. Please call for eligibility and details. We also accept Section 8 Housing vouchers. Housing for Seniors 55 or older only. Located across the street from Dyes Inlet in Silverdale. 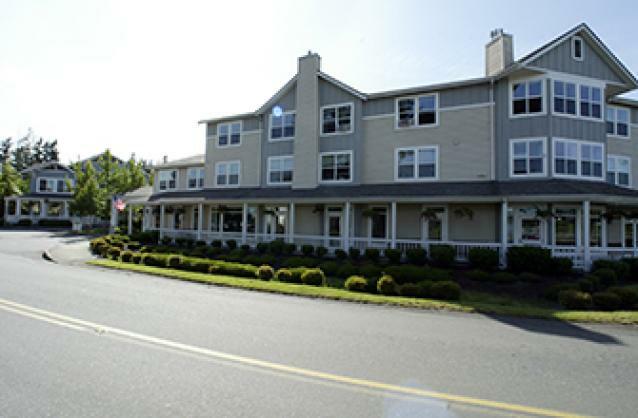 Secured building, parking garage, beautiful community rooms with views of Mount Rainier, elevator, social activities. Conveniently located near grocery and other stores, healthcare facilities, a waterfront park, theaters, and county-wide public transportation services. Visit with family and friends on lovely covered porches. Attentive management and responsive maintenance staff located on property adds to the overall convenience of Golden Tides II Apartments. 10 Project based subsidized units through the Kitsap County Consolidated Housing Authority. Please call for a waitlist application. 10 Project based subsidized units through the Kitsap County Consolidated Housing Authority. Please call for a waitlist application. We also accept Section 8 Tenant Based Vouchers.